Women are certainly a force to be reckoned with in the music industry. From every genre of music, women have led the way to have some of the most iconic and powerful voices. And whether it's their style, the way they do their hair, or the way they transform themselves, female musical performers are not only an inspiration to women to live strong and be proud, but a powerful motivation to people of all walks of life. The past couple of years have seen a number of amazing female musical artists take the highest ranks for beauty and style. However, what makes a female performer beautiful is not only her physical appearance, but also what she represents and stands for. 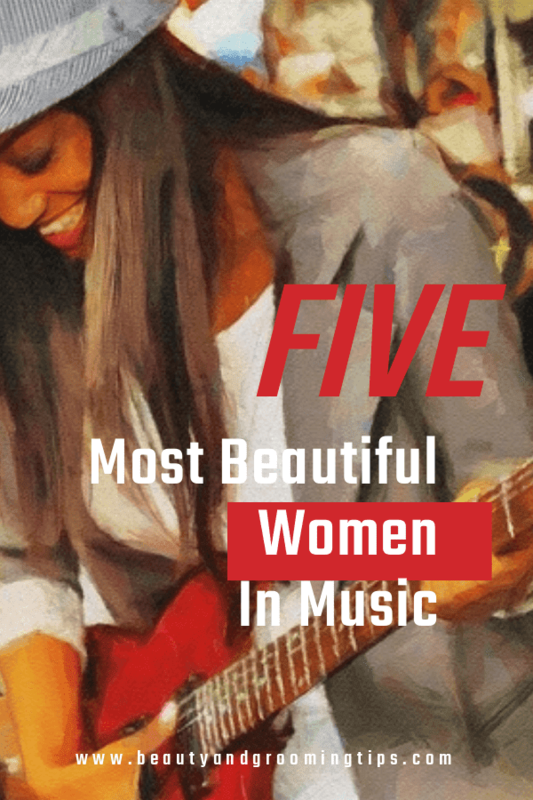 Here are the 5 most beautiful women in music. Adele takes the number one spot on the list because she has literally changed the way we think of beautiful women in the music industry. Physically she is unlike most performers, but her voice is a commanding reminder that beauty is in the eye of the beholder. Adele also has an incredibly unique style that has inspired fashionistas and stylists worldwide to clamor for her distinctive look. It's been ten years since Beyonce Knowles left Destiny's Child, but she has remained as a mainstay on billboard top ten charts and has created dances that will be permanent fixtures in the history of popular culture. She is also an inspiration to women everywhere and reminder that you can overcome diversity and actually be someone. She also sang a powerful rendition of Etta Jame's "At Last" for the president and first lady. Gwen Stefani is both beautiful and fashionable. First with No Doubt and then breaking into her prosperous solo career, Stefani has created ballads that most of still can't get out of our heads. She has also created a fashion label that is collected by serious fashionistas worldwide. Nora Jones not only tops the music charts, but she is a genre defining artist whose voice and lyrics relate to music lovers the world over. Daughter of the late Ravi Shankar, Jones has developed her own career with a musical style that is entirely her own, but that mixes traditions of jazz, blues and R&B. Last, but not least, Joni Mitchel created heart-wrenching ballads that pertain to life, love and loss that paints a beautiful portrait of the human condition like no other female musical artist before her. It is difficult to make a top 5 list of the most beautiful women in music, because there are so many - some who are still with us and some who aren't. The above-mentioned female artists represent different performers who prove to the world that the impossible is possible - and to be beautiful in music doesn't mean you have to be traditionally pretty. The aforementioned women are also role models to women the world over and prove dreams do come true and if you put in the work you can be anybody you want to be.